Mina was born into a big family with many sisters and brothers. 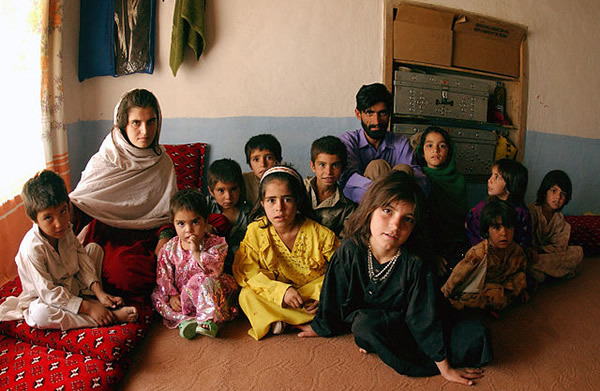 Her father wanted his daughters to marry early and decrease his economic burden. So with every marriage opportunity, he encouraged the girls to go to their destiny. He encouraged Mina to marry an older man when she was thirteen years old. Mina’s new husband was wealthy and he wanted to have many children. It was not important to him whether or not Mina had enough strength to mother all the children very well. He was a very selfish person. All day he was away working. Having a big family was his only wish. So Poor Mina gave birth every year. Day by day she became weak and depressed. She didn’t have any time to rest or live for herself as a human being. It was impossible. Finally, she lost her energy and her mental health. She was now a thirty-seven-year-old woman with eight children living with her. Some had already left home. Mina was so disturbed from twenty-three pregnancies that her body could not engage in life easily. Mina went to a psychiatrist and complained about all her pains. She was crying like a compressed cloud that burst without any control. She didn’t like her husband. She needed time to breathe, relax her mind, and rest. Her doctor helped her to get her broken morale strong again. God knows how many visitors it will take to cure her tired heart. You’re so right — how long and how many people will it take to cure such a broken heart. Thank you for telling this story.